When an order with tracking codes is put into the shipped status, the customer will be sent the Order Shipped Email template, and these merge codes will be replaced with the tracking code and tracking code URL. 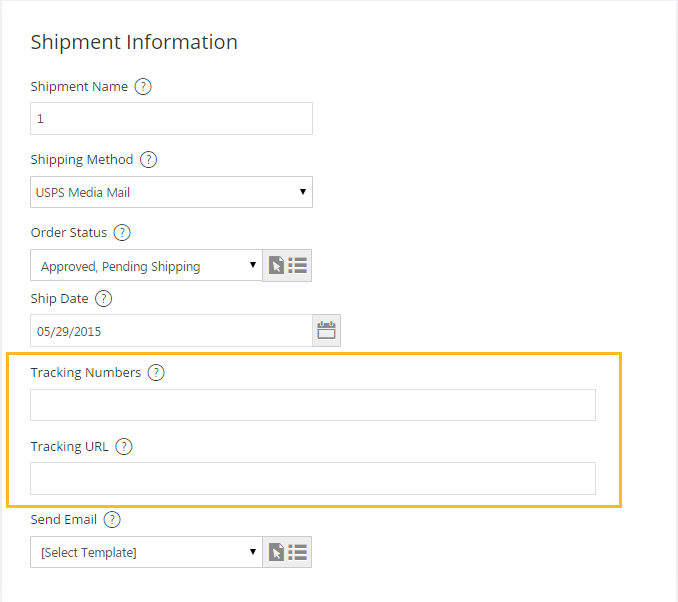 To add shipment information to a new or existing order, scroll to the bottom section. This is directly under the Payments section. Here you will select "Add Shipment". From the admin section you can do a batch of Tracking Numbers by navigating to Orders > Power Features > Enter Tracking Numbers. This page updates Tracking Numbers for your orders. 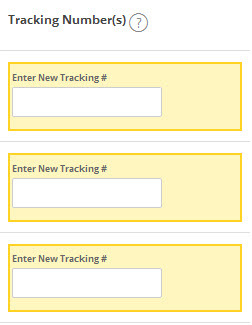 Enter tracking numbers for each order that you are shipping. You can optionally change the order status and set the ship date of these orders. Check each order you want to change the order status. Or set the ship date and check the appropriate options at the top of the page. If you choose neither action, the tracking number will still save. If you change the order status to denote that the order shipped, an email sends to the customer using the template specified in the email editor. The tracking number can be included in this email using one of the special codes in the email editor. The ship date can also be shown in the same manner if you choose to set it. You can also add tracking numbers via Third Party software such as Shipworks. The following article demonstrates how to set this up to generate tracking codes.